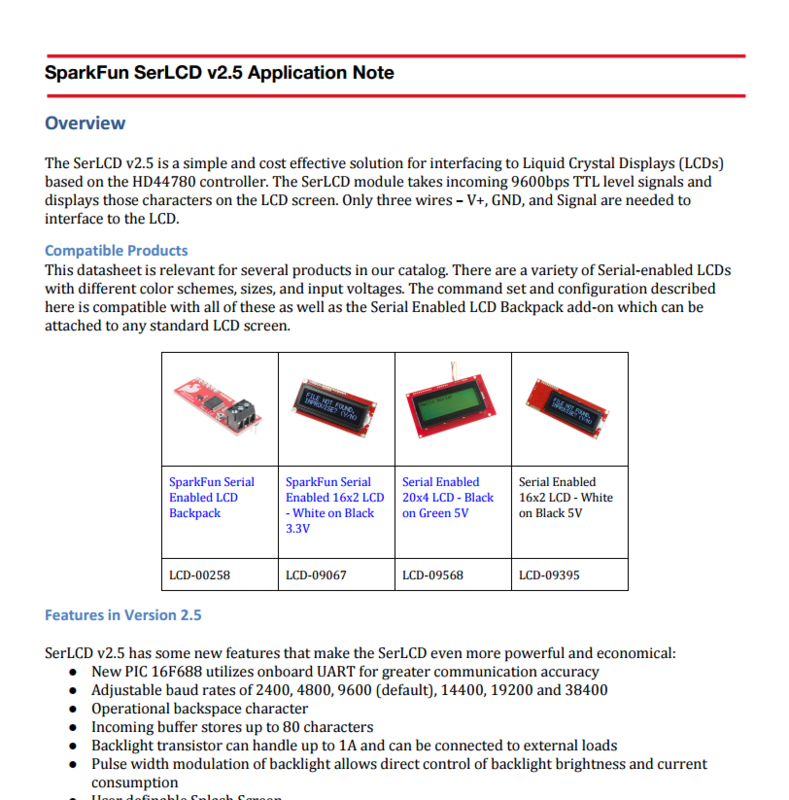 This is a quick reference to using any of the Serial-enabled LCD kits at SparkFun. It simplifies the command set into tables that are easy to follow. Try also looking at the Serial LCD Quickstart Guide for example codes.